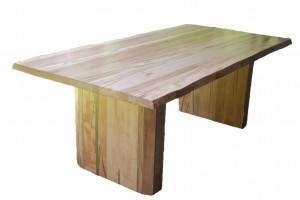 Amish Originals is pleased to offer a new one of a kind dining room piece. Our new Live Edge Table is now available on the showroom floor! You have to get a look at this to truly understand its’ unique beauty. This table is special in that the makers do not mill it, meaning it has an outside edge that closely resembles a tree and gives it a real rustic look. The fact that you can actually see all the grain and natural imperfections makes this luxury item truly distinctive. Come in and see it for yourself, you won’t want to go home without one! Consolidation Update: Plans for the renovation of our permanent location are before the city going through the approval process. We plan on removing some walls, redoing the stairway and adding an elevator. We still have not set a time-line for when we expect to vacate the theater building at 8 N. State Street, but plans are to be completely into the new building by the end of the year. The change will result in a loss of about 1,000 square feet, but we still plan on carrying the same amount of inventory. And better news for you is that being under one roof is going to help with our operations so that we can better serve our customers. Not to mention saving you the walk from both stores! Read more about the consolidation here in the article published by Jennifer Nesbitt in ThisWeek Community News.